To learn how to write, a child has to develop his fine and gross motor skills in a consistent and predictable pattern through infancy and all the way to elementary school. According to the American Academy of Pediatrics, between 36 and 48 months of age comes a critical moment for the development of skills needed for mastering writing. Play A-B-C bingo by either making your own or choosing from the ones available online. When your child draws a person, ask and notice different body parts like the hair, arms, and legs. Write a big and clearly traced letter on cardboard, put it inside a Ziploc bag and have your child trace over it with a dry erase marker that you can wipe afterwards. Notice letters in signs and texts your son sees every day. Play I Spy drawing games by asking him to draw something he is seeing. Make a game out of copying shapes and figures. 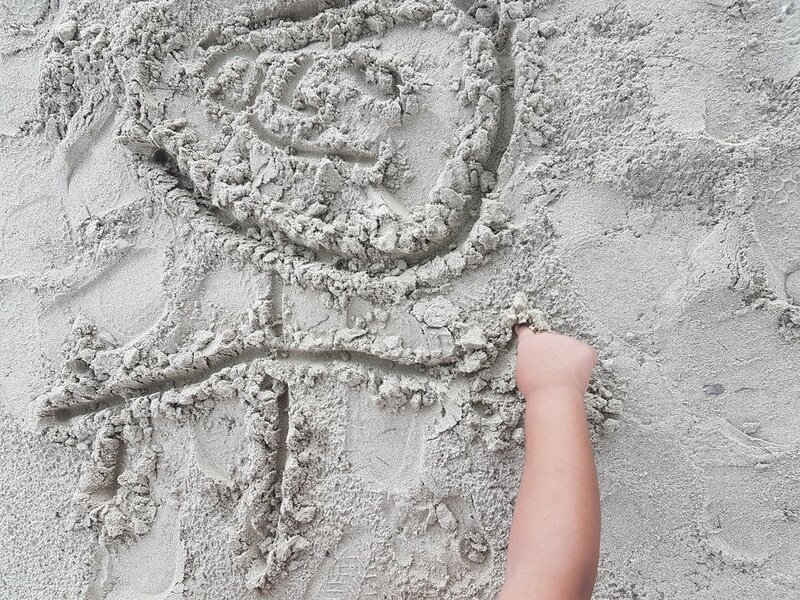 When in the playground, invite your little one to make letter and shapes in the sand using his finger. Have your kid make strings of play-dough and then help him make the vowels. Spend some time making the sounds of each letter. Think of rhyming words and make funny sentences with them, noticing how they sound similar because they share some letters. Give him plenty of opportunities to interact with writing tools and hold them appropriately using his middle finger, index, and thumb.